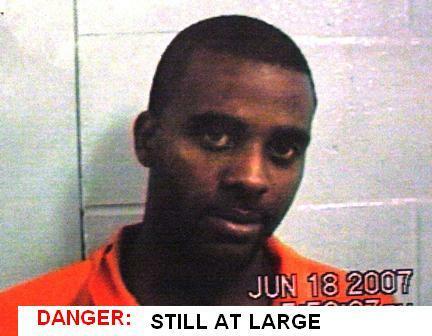 Eric Demond Smith, 28, is still at large and being sought by the Sheriff's Office. The victim drove to her ex-husband's house to drop off their two children for an over-night visit. When she arrived at his house, the kids went inside. Once the kids were inside, that's where things went awry: Her ex-husband pulled a knife and forced her into her car. He then forced her to drive to several locations and withdraw money from the ATM. During an altercation in the car he stabbed her and beat her about the head and face. the victim escaped and was able to make it back to her family's residence. She was then transported to Livingston Memorial Hospital emergency room by ambulance where she was treated and later released. She suffered stab wounds to the leg and cuts and lacerations to the arm, head, and face. The suspect was identified as Eric Demond Smith, 28, and resides in Polk County. It was later learned the suspect had two outstanding warrants out of the 411th District Court of Polk County to have his probation revoked on an aggravated kidnapping charge and a charge for violation of protective order by assault/stalking. These charges are not related to the current victim. A warrant was issued by Justice of the Peace, Precinct 1, Darrell Longino for aggravated kidnapping. The suspect is still at large at this time. The Polk Count Sheriff's Office is asking for citizen's assistance in locating the suspect. If you see or know where this suspect is, please contact the Polk County Sheriff's Office or Polk County Crime Stoppers.